I visited my CPA recently. I always like going to her place, because she lives in the country, although close in to the city. 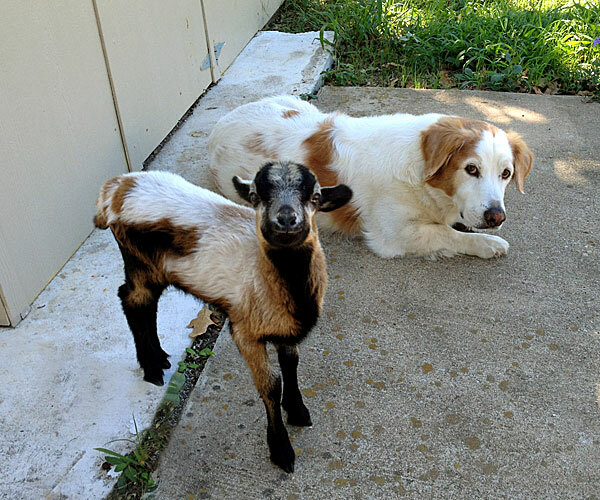 On this visit I was greeted by a most unusual pair, a Barbados lamb and a dog! They simply made such a sweet pair. When I left the young sheep was laying down and resting its head on the dogs hindquarters. Oh how I wanted to just take that baby home with me! Hey Watcha You Lookin’ At? 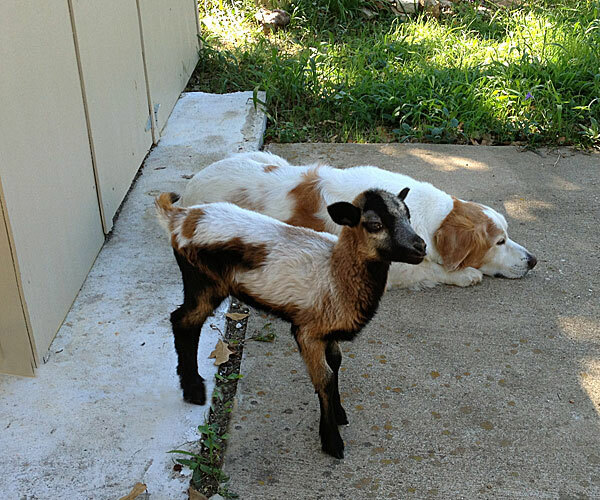 This entry was posted in Pets, Wordless Wednesday and tagged Barbados Sheep, Dog, pets, Wordless Wednesday. Bookmark the permalink. They are a captivating and unusual pair. Now THIS HIGH LEVEL CUTENESS OVERLOAD makes my day – Baaaa Baaaa WOOF! Lovely, they even match in colors! Sweet! What a cute little goat! THey DO look like good buddies. Even have the same expression. Love it!